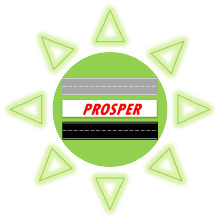 The overall goal of the Program for Sustainable Pavement Engineering & Research (PROSPER) is to advance research, education and technology transfer in the area of sustainable highway and airport pavement infrastructure systems. Advance research, development and implementation of next-generation sustainable roadway systems. Integrate cutting-edge technologies from various disciplines to tackle real-world highway and airport pavement infrastructure problems. Investigate sustainable paving materials and construction technologies, pavement non-destructive testing and evaluation, performance monitoring, maintenance, repair and rehabilitation.